Dr. Juanita Brower currently serves as the Assistant Pastor at the Forestville New Redeemer Baptist Church (FNRBC) in Forestville, MD, under the leadership of Rev. Dr. Nathaniel B. Thomas, the Senior Pastor there since 1993. As the Assistant Pastor she serves as the Church’s Administrator, the Minister of Music, the Church Historian and Head of the Churches Ministries. She formally served on the board of The Children of Promise Christian Academy as one of the Advisors and taught music to the students attending there in 2007. 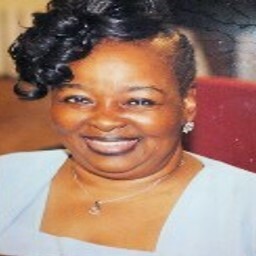 She currently serves as the Chair of the Board on the FNRBC Agape Outreach Ministry. She also serves as the Assistant Registrar on the Board of the Mt. Bethel Baptist Educational Congress. She comes from a long line of preachers, singers and musicians, and the Lord thought it not robbery to bestow upon her the same gift of preaching, teaching, singing, directing and playing musical instruments. For many years she was the Music Director and Minister of Music for several churches throughout the DMV, to include a couple of churches on the Eastern Shore. She opened her own “J.D. Brower Music Conservatory” in January 1980 and successfully ran the school for 10 years. She has written and recorded some of her own music and sang solo in the live recording (New Image Live in Washington, DC – April 2000). April 2018 she starred in a couple of Broadway Productions of “Black Lives Matter: Justice On Trial”. She was reared with her family in Gethsemane Baptist Church, Washington, D.C. where she taught Sunday School, directed and played for the Men’s Chorus, the young people’s choir and the G.R. Yancey Ensemble. In 1989 she migrated with her family to the Rising Sun Baptist Church, Washington, DC when her father, the Late Rev. Samuel Mitchell, Jr. was called to the Pastorate of that church. It was there she was licensed to preach the Gospel, initiated the Missionary Ministry and SHARE program and continued in the Music Ministry by establishing the Men’s Chorus and the Sam Mitchell Sunbeams (youth group). In 1993 The Lord led her and her family to assist the Late Dea. Dorsey and others in establishing a church in order to call Dr. Thomas to shepherd them. On March 26, 1995, she was ordained and was called to be Interim Pastor for the Agape Missionary Baptist Church in Washington, D.C., where she served for two years. She then returned back to FNRBC in 1997 to continue her assignment as the Assistant Pastor. To prepare her for the preaching ministry, she has been educated in several local seminaries and Christian colleges to name a few…the Washington Baptist Seminary, Maple Springs Baptist Bible College & Seminary, and the Washington Bible College. She was married to the Late Dea. Alvin L. Brower, III for 37 years, the mother of 2 grown sons, Alphonso and Alvin Lenny and the proud grandmother of eleven beautiful grandchildren.